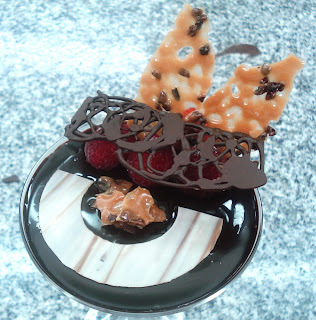 Decoration includes baked cocoa bean nibs crips ( brown ), tempered marbled chocolate disk, raspberries and chocolate mesh. 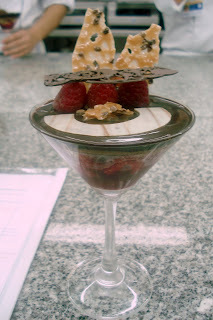 Here's another version of the same recipe. 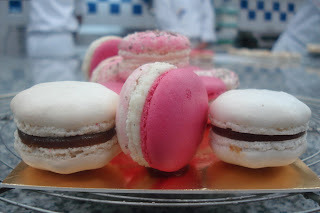 These Macarons are made from ground almond sifted twice then dried, mixed with icing sugar, egg whites and Italian meringue. 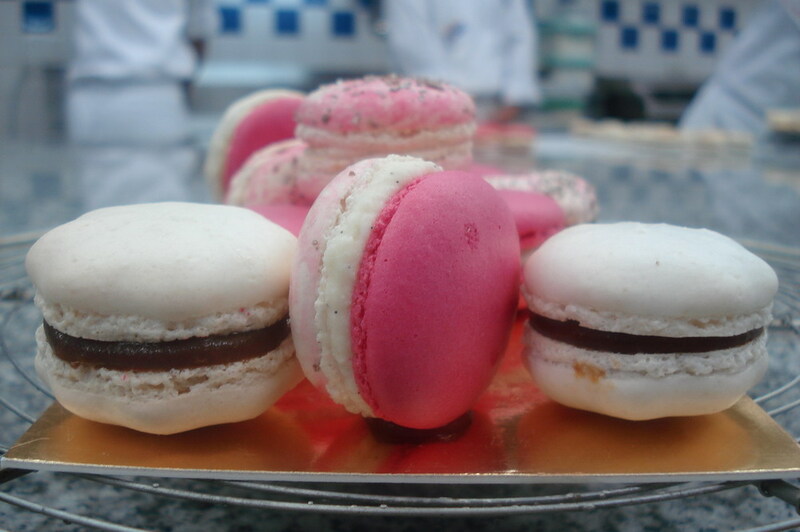 We made vanilla - strawberry flavored macarons and caramel butter cream macarons during practical. 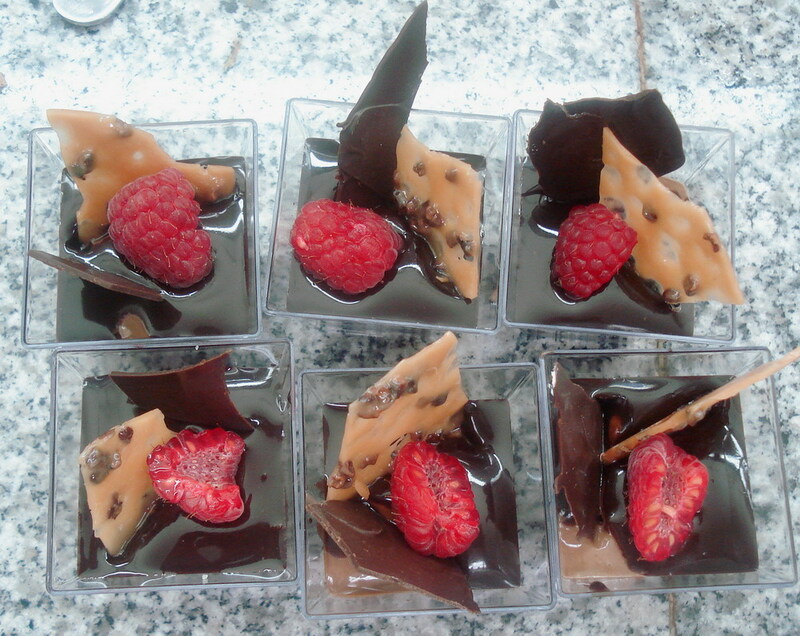 My partner and I piped the mixture in various shapes. 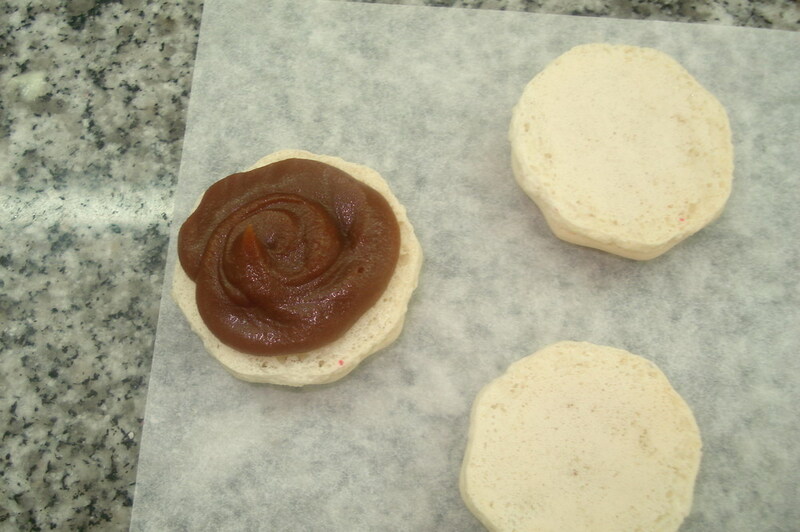 The color of caramel butter cream goes well with white macarons. 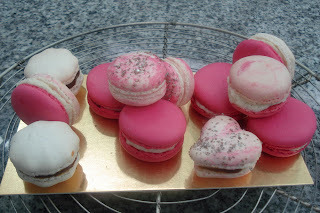 The pink macarons are filled with vanilla- strawberry ganache. My macarons - all set for the presentation. 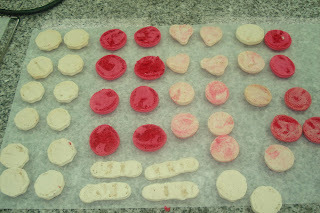 The pink macarons look strikingly beautiful against the white macarons. 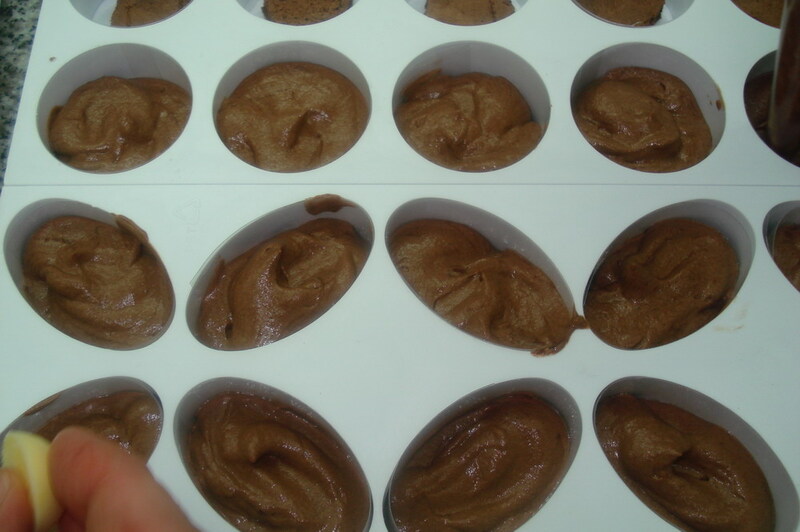 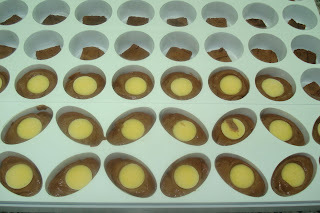 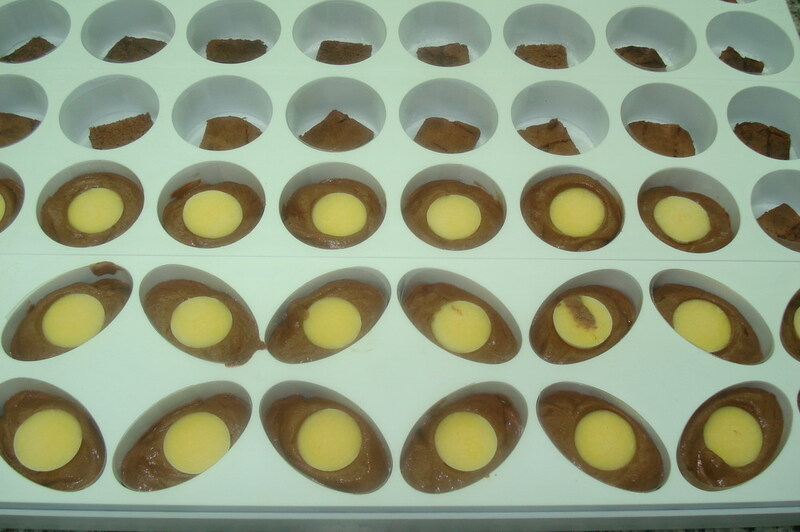 The biscuit was masked with chocolate mousse. 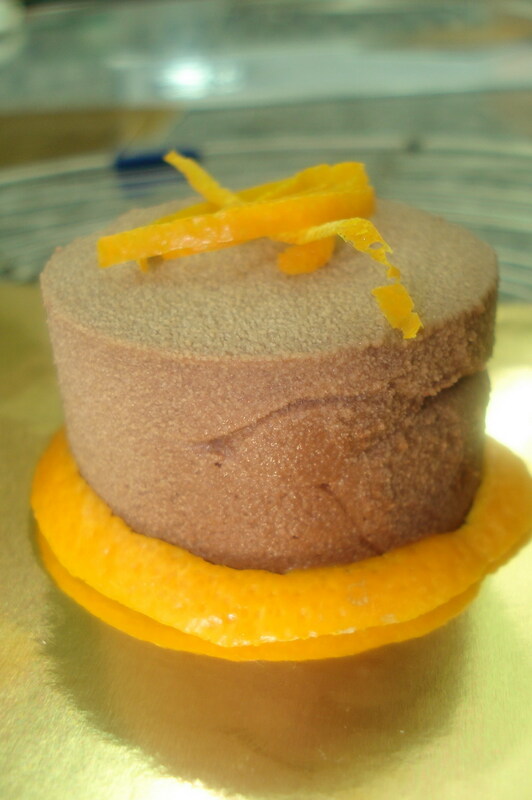 Frozen orange creme brulee was placed over the mousse and was covered with chocolate mousse. 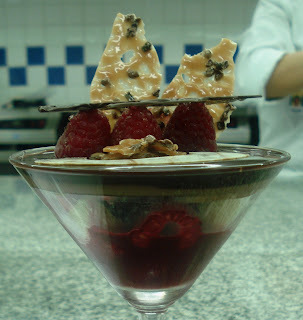 It was chilled until it set. 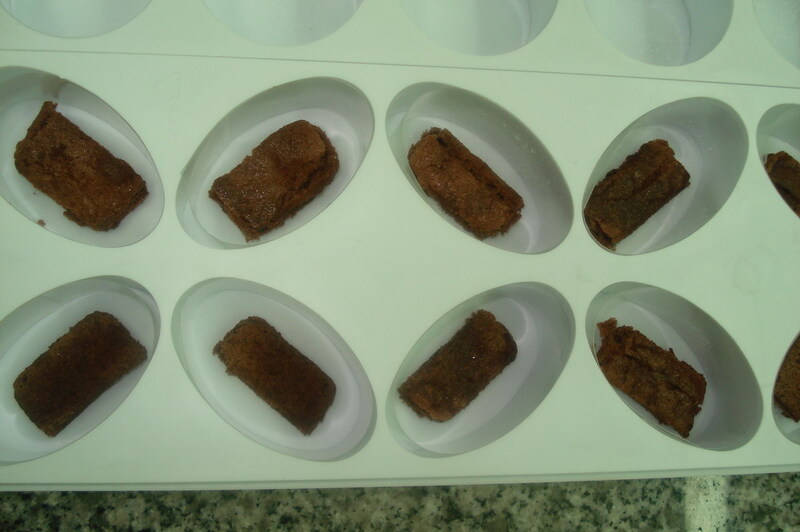 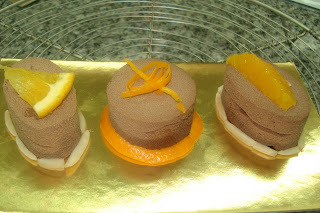 Decorated with chocolate spray, orange segment, slivered almonds and orange peel.